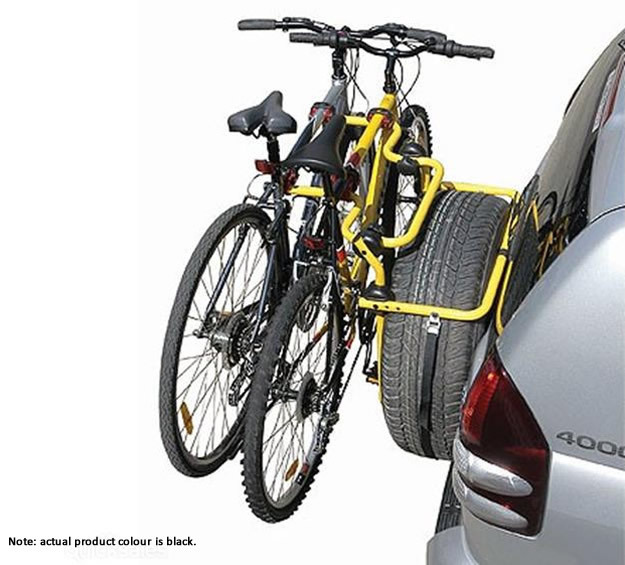 The Rhino RBC025 bike carrier is a clever 2 bike carrier that simply straps to the spare wheel on an SUV. The bikes are cushioned by soft cradles and secured by a strong webbing strap. The two arms are offset to allow for the spare wheel being fitted off to one side of the wagon. 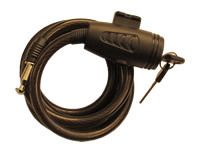 The carrier is made from tubular steel with a smart black powder coat finish. When your trip is finished the Rhino Rack spare wheel bike carrier conveniently folds flat for storage. Maximum tyre depth for RBC025 is 295mm. PLEASE NOTE: Not to be used off road or on the back of caravans.